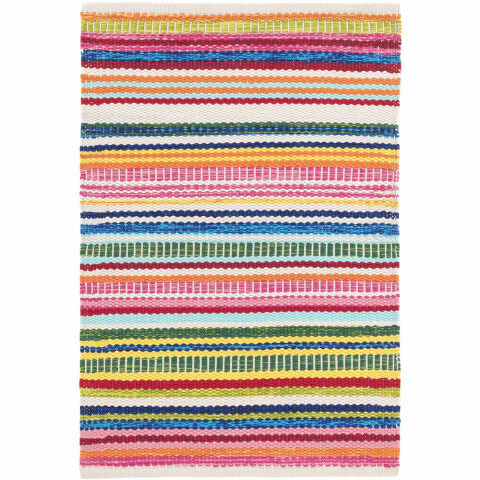 So bright they're almost neon, tingling stripes of bold, beautiful color add fresh, happy appeal. Like the rest of our indoor/outdoor breed, you can scrub, hose and even bleach it, so it’s perfect for high-traffic areas such as family rooms, playrooms, or any room that needs playful pops of color. 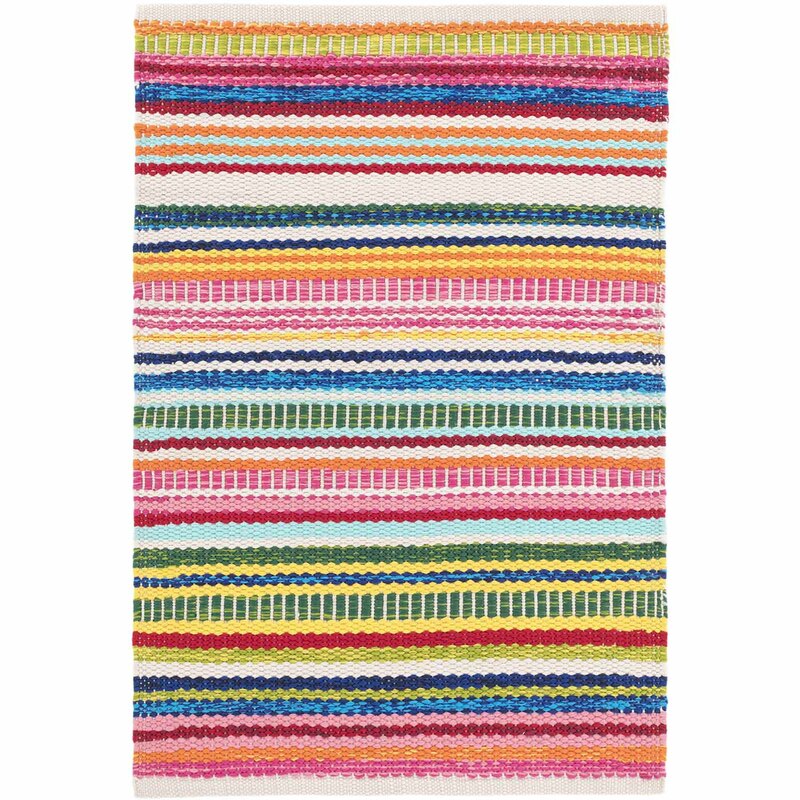 Bright Stripe Indoor/Outdoor Rug Swatch-24"x18"